This painting is one of my favorites because it really does represent what is going on inside my head. Hence the title, "Inside My Head". This canvas painting is much like my other works in that it is on loose canvas. Just like Pollock and many others, I prefer loose canvas placed upon a hard surface. This allows me to sand or scape the painted layers revealing the history beneath. I didn't really do much of that on this painting. I was guided from the very beginning like voices inside my head. 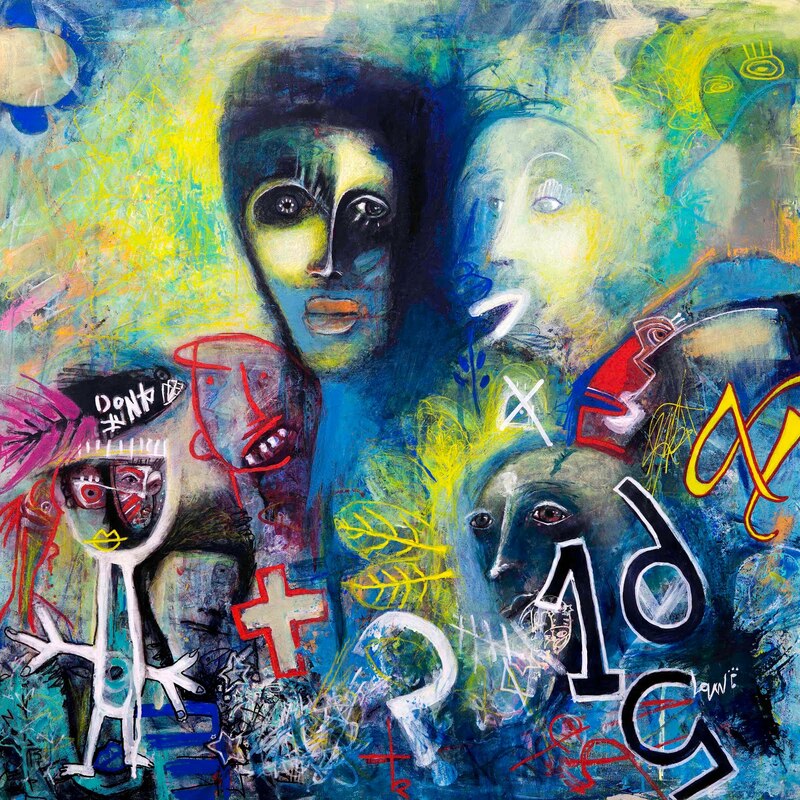 Symbols and marks render themselves effortlessly on this 28x28 canvas. The color was much the same. It came to me quickly, and I responded by each stroke or mark to the sound and feeling below the surface of conscious. There's so much to look at and explore. What you see are deep artifacts hidden even from me. The story will make sense when the white lips reach the soul within. This artwork is painted on high grade canvas that measures 28x28 inches and painted with Liquitex, Amsterdam and Molotov markers. A coat of Liquitex Matte varnish. It's painted from edge to edge. You can mount it on board and float it in a frame if you want to crop the painting with a mat or by stretching it.